My husband and I often cook together so an apron is pretty much a necessity in my life. I haven’t found a style that interests me so I should try and make my own, right? 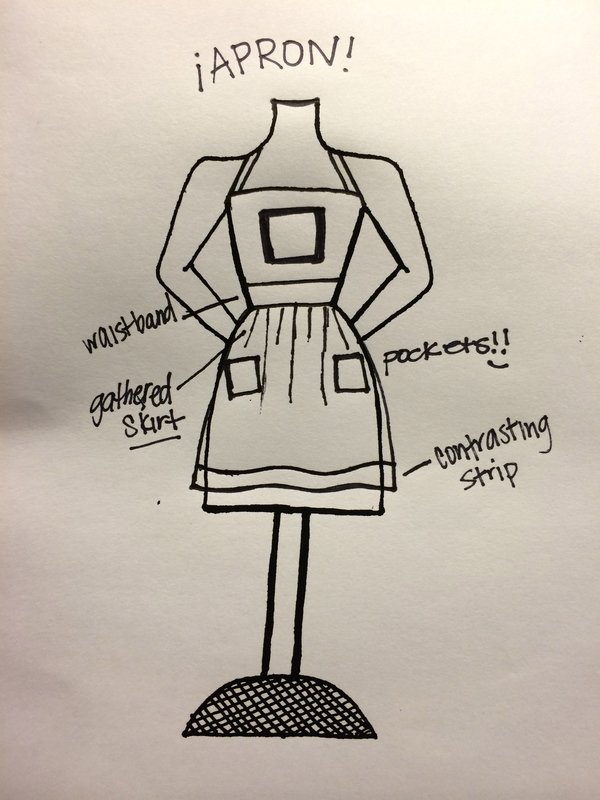 I want to challenge myself by making the apron with a pattern that I drafted from a rectangle and square. Exciting! How hard could this be, amirite?